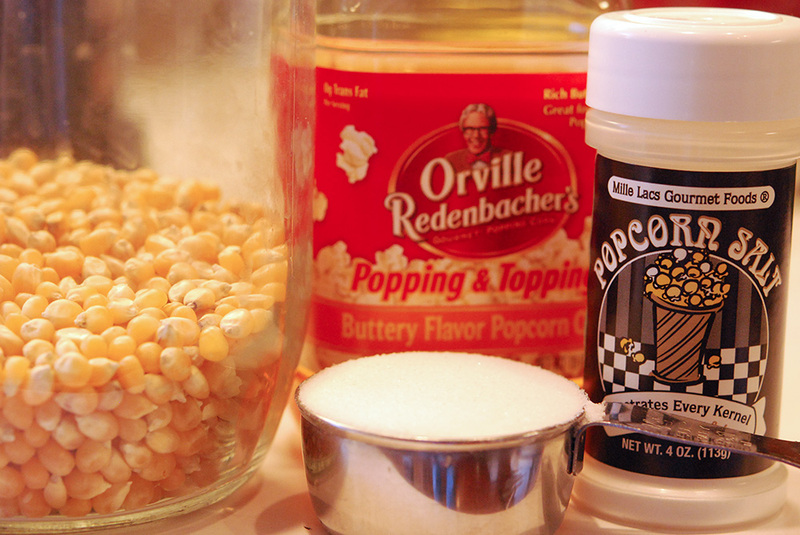 Homemade Kettle Corn - Jill Ruth & Co. I was looking for snack recipes and saw one here for kettle corn. What?! Why have I not ever thought to look for these directions before?! Here are the ingredients. When I make popcorn on the stove I never measure. But, for this I did and really think it was a good idea. So, my popcorn pan has seen some use. :) I think it's a 2 quart size, but a bigger one would be a good idea. 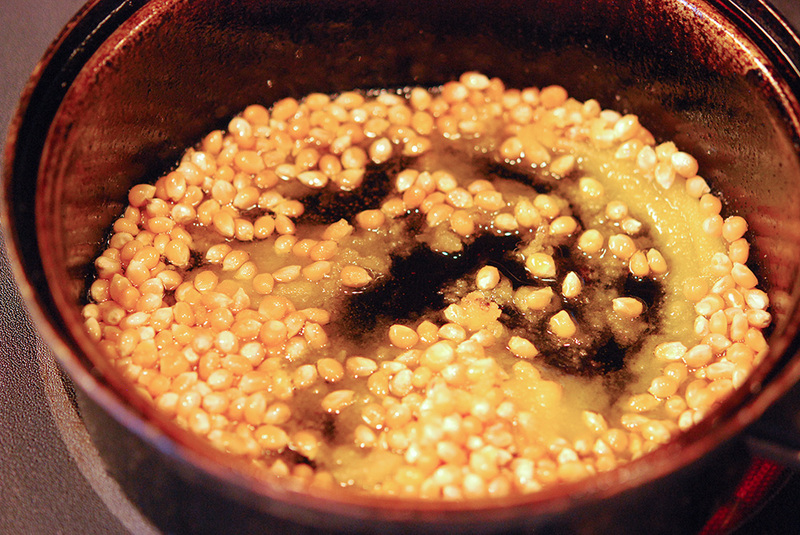 Add the oil to the pan and when hot (when three test kernels have popped) add the sugar and popcorn. Stir it quickly and replace the lid. The original recipe said let the pan sit 3 seconds, shake 3 seconds. I did this and it didn't burn. 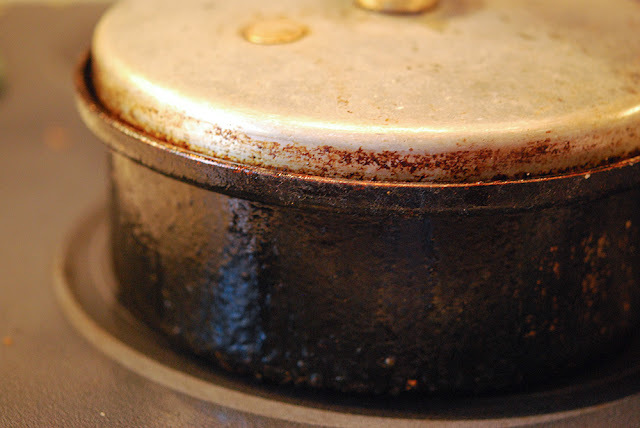 However, if you make a second batch, wash out or at least wipe out the pan in between so you don't have any stray pieces or sugar burn while the new oil is heating. I added the salt after I put the popcorn in the bowl and tossed it to break up the sticky pieces, but I think you could add the salt to the oil too. Just in case you don't get enough to eat tomorrow you can whip up a batch of this! May you have blessed Thanksgiving! Sounds really yummy! Happy Thanksgiving to you and yours from Canada. This looks fantastic - am going to make this!! 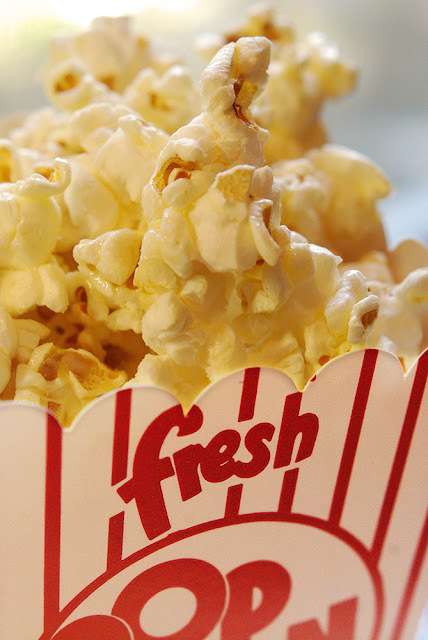 We LOVE kettle corn in our house-thanks so much for sharing!!! Can't wait to try it!! Oh no - I'll be addicted in no time! I have cravings for popcorn now I may have to start a new craving. Oh my! I think I may have to make that!! Gee thanks!